Tinao house occupies what was the old barn and storage of agricultural implements. It is structured as a duplex, with an open wooden loft. Downstairs the living room with a wood burning stove, kitchen and bathroom. Upstairs bedroom with a double bed (in the living room has a comfortable sofa bed that extends the capability of this house for one or two persons). tiled bathroom with aresanal Fajalauza type. It includes basic bath, toilet paper and soap. Towels changed weekly. A wonderful restoration of an old farm house. Heated tile floors and a fireplace provided a warm cozy environment. Orange trees were full of fruit and the other fruit trees were in blossom. Loved this place so much! It was the first stop of our Spain trip. It’s rural, but still accessible by bike to downtown Granada. There are bikes they let you use, and a bike lane into town. I did not want to leave. Would definitely stay here again!! Lovely ‘cottage’ perfect for two, simple but everything you need , would go back. 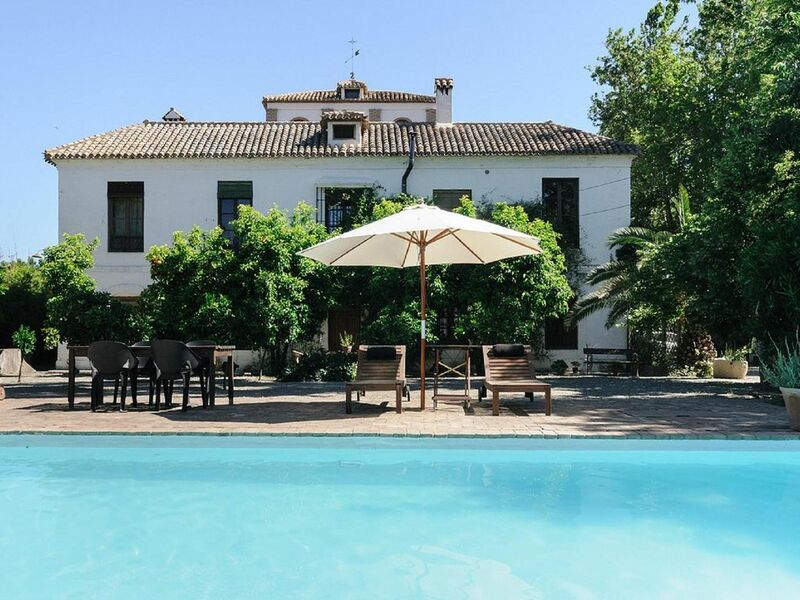 Charming place witha lovely pool and away from the hustle and bustle of Granada but close enough for a trip into the city"
The apartment with loft bedroom was a bit hot in the warmer weather as no windows to circulate air. Would go for downstairs bedroom next time. Loved the location, great apartment. And our hosts were fantastic. We really enjoyed our time at Conchas property. The cottage was very clean and well furnished - we had everything we needed. Sitting outside under a wisteria covered pergola was lovely. The property is a calm oasis on the outskirts of Granada. We would definitely come to stay again and would recommend it highly.